Who let the dogs out is what the crew of the Amver participating Polish research vessel Baltica were thinking Thursday January 28th after rescuing a pooch from an ice floe in the Baltic Sea. According to United Press International, the Baltica, an Amver participant since 2005, launched an inflatable boat when they spotted the dog floating on the ice in sub-zero temperatures. In an interview with UPI, second engineer Adam Buzinski said "It was obvious the dog was very weak." "He almost went under the surface of the water." The dog floated over 70 miles down the Vistula River in Poland before entering the Baltic Sea. The crew named him Baltic. Search and rescue authorities typically request commercial vessels to respond to more traditional maritime or aeronautical emergencies at sea. "This incident continues the tradition of Amver ships' unselfish-willingness to save lives at sea and ensuring no call for help goes unanswered. It is heartwarming to see the effort taken by the vessel Baltica to save one of man's best friends," said Captain David McBride, Chief of the United States Coast Guard Office of Search and Rescue. Are you ready to help when called upon? Enroll in Amver today and who knows who (or what) you may save! Taking measures consistent with the ship's security plan equivalent to Security Level 2. Ensure that each access point of the ship is guarded and that the guards have total visibility of the exterior (both landside and waterside) of the vessel. Report the actions taken directly to the cognizant U.S. Coast Guard Captain of the Port prior to arrival to the United Stats. If you aren't reading Bryant's Maritime Consulting Blog you should. Dennis Bryant skillfully collects the most interesting and timely maritime news stories and packages it for early delivery. 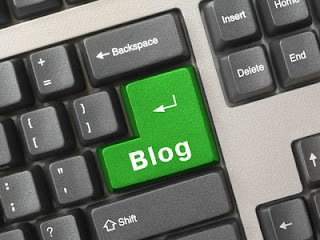 You can add the blog to your reader or subscribe by email (which is how Amver does it). Today Dennis correctly points out that January 28th is the anniversary of the Congressional Act establishing the United States Coast Guard. Yup, the Life Saving Service was combined with Revenue Cutter Service in 1915! On Sunday January 25th three Amver ships battled a major Pacific storm to assist a disabled Taiwanese fishing vessel 260 miles north of Midway Island. Search and rescue authorities in Honolulu received the electronic distress alert for the fishing vessel Shun Fu Yu #86 and immediately sent a Coast Guard C-130 aircraft from Air Station Barbers Point, Hawaii. In addition to the aircraft, rescue personnel requested the Amver vessels Zhen Hua 18, Global Spirit, and Eilhard Schulte divert to the location of the fishing vessel as well. According to vessels in the distress area, sea conditions were treacherous with high winds and waves over 21 feet. The Captain of the Zhen Hua 18, a Saint Vincent and Grenadines flagged ship, agreed to divert despite the rough weather but was later released because his vessel was too far from the distress location and weather conditions were deteriorating. Coast Guard rescue personnel turned to the Liberian-flagged car carrier Global Spirit to continue towards the disabled fishing vessel. The Global Spirit, managed by World Marine Company of Japan, arrived on the scene but could not rescue the crew due to the severe sea conditions and high freeboard of the car carrier. "We attempted to flash lights at the vessel to determine if they had power," said Captain Cueto of the Global Spirit. "It appeared the fishing vessel did not have power and that people were on the deck wearing life jackets." Another cargo ship, the Bernard Schulte-managed Eilhard Schulte, diverted to assist. The Liberian-flagged cargo ship arrived on scene and reported rough seas and winds more than 35 knots. The Eilhard Schulte will remain on scene until the fishing vessel's sister ship arrives and takes the disabled vessel in tow. Are you prepared to assist in a maritime distress? Enroll in the Amver system today and join the ranks of mariner helping mariner. You may be the difference between life and death. 24 ships enrolled in the Amver system in the past week, a week marked by the response to the Haitian earthquake. The Coast Guard has been busy with relief efforts and MARAD has issued an advisory to ships to help better coordinate relief efforts and international trade to Haiti and the Dominican Republic. With 2010 off to a big start we are glad a steady stream of new ships continue to enroll in the Amver system. Why haven't you enrolled yet? What is your barrier to entry? Is it cost? Did you know the cost of sending an Amver position report is less than $1 a day? That's pretty cheap. Is it you don't want the United States Government tracking your ship? Consider this. Four Iranian ships earned Amver awards in 2009. Remember, we don't use vessel position data for anything other than search and rescue. So what's stopping you? Sign up today! Thank you for continuing to support Amver! 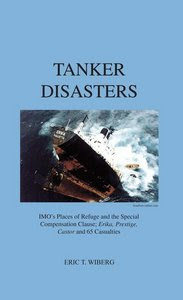 If phrases like force majeur and place of refuge excite you or you are interested in such maritime disasters as Erika, Prestige, or Castor then Eric Wiberg's new book Tanker Disasters; IMO's places of refuge and the special compensation clause deserves a place on your bookshelf (you can purchase it here). Don't dismiss this book as a snooze fest yet! The book is an analysis of over 65 modern ship casualties and oil spills. In particular analyses the role of the Prestige and Erika on formulating a list of Places of Refuge by various coastal states, as encouraged by the International Maritime Organization. These oil spills had far-reaching consequences and led to public outrage and indirectly to the democratic downfall of the Spanish government, whose response to the Prestige sinking was deemed slow and ineffective. The government forced the disabled ship away from land, where it broke up and sank, causing some US$6 Billion in coastal and environmental damage to the Atlantic coasts of Spain and France. Written by the holder of a license in Maritime Law, experienced captain and former tanker operator, in fulfillment of a Masters in Marine Affairs degree, this paper has been requested by all the parties to a long-standing multi-billion-dollar legal action, including the classification society, the ship's flag state, and lawyers representing various governments involved. It tests hypothesis and draws conclusions, most of them contrary to the expected result, using honed academic methodologies and original data. Illustrated with black and white photographs, charts, graphs, and diagrams. Eric will be happy to discuss his book with you over a beer at the upcoming Connecticut Maritime Association's Shipping 2010 conference in Stamford, CT March 22-24. Shucks, he may even sign your copy! Jacket art used with permission of the author. In a recent notice to mariners the United States Maritime Administration, or MARAD, announced the activation of some naval ships and provided guidance for other ships coming into Haiti. Many of the vessels bringing relief supplies are part of the Amver system. According to the advisory, shipping companies engaged in relief efforts to Haiti or the Dominican Republic, or engaged in trade with these nations, are requested to have the master provide a report to the the shipping coordination center, naval ocean processing facility, Dam Neck, VA prior to entering the reporting area. This basic information will ensure safe passage of commercial ships and the safety of the U.S. Coast Guard and other naval forces in the area. Like Amver, this reporting request is voluntary. 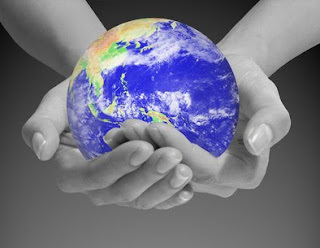 You can read MARAD Advisory 2010-01 here. In our efforts to spread the word about Amver, the USCG Response to the Haitian earthquake, and to drum up greater Amver enrollment we did an interview with James Tweed and Shipping Podcasts. You can listen to the entire interview here. Enjoy this press release from Amver historical files. From the Public Information Office, Third Coast Guard District, U.S. Customs House New York, N.Y. 10004 HA 2-5700, Extension 611. 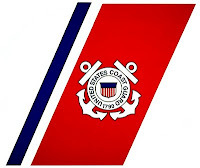 The U. S. Coast Guard in New York has awarded a $39,747 contract to K.E.C. Associates, Inc 1638 201st Street., Bayside, New York, to prepare a new computer space for the Atlantic Merchant Vessel Report System (AMVER) in the U. S. Custom House. AMVER is a voluntary merchant vessel position report system. Ships in the North Atlantic Ocean relay information to the Coast Guard in New York on their voyage. The computer stores this data until it is needed by the Coast Guard to provide a list of vessels with search and rescue capabilities near a distress scene. A new electric data processing system will be installed to replace an existing system by October 30, 1964. The original computer system was placed in operation in July, 1958, when the Dutch liner S. S. Groote Beer sent the first AMVER message. The new system will permit greater efficiency and range, including an AMVER plot for the South Atlantic Ocean immediately and one for the Pacific Ocean later. Normally, the Coast Guard has on plot in the Atlantic Ocean more than 900 vessels of 62 nations that participate in the voluntary maritime safety program. We asked for your help and you answered! Would you believe 46 ships enrolled in Amver in the past week? While the world focuses on the devastation in Haiti we look to the commercial shipping community to help fill the gap left by rescue authorities from many countries assisting relief efforts in the Caribbean. Thank you. Can you do it for us again? We challenge the shipping community to continue to support international relief efforts by enrolling in and reporting to Amver. If you are looking for a more individual way to help those affected by the disaster in Haiti please see the White House page on earthquake relief. Want To Know What Clay Maitland Is Talking About? For those of you who have been around shipping, especially in the New York or Connecticut area, for any length of time you probably know Clay Maitland. If you don't know Clay (disclaimer: he is a staunch supporter of Amver) you should. And what's the best way to get to know Clay? Check out his new blog! Clay's blog includes some heavy hitting contributors, including Neville Smith and Michael Gray, as well. Thanks for what you do to support Amver Clay! In case you are wondering what impact Amver has around the world you don't need to look any further than the requests for assistance received this weekend. The first request came from RCC Australia for a disabled 39 foot yacht making its way from Capetown, South Africa to Fremantle, Australia. The second request came from MRCC Reunion requesting Amver data to search for an overdue skiff with two people on board. The third request also came from MRCC Reunion. This time a tanker was reporting a man overboard. In every case Amver vessel position data was shared with the requesting rescue coordination center. We are working with these centers to determine if any lives were saved and look forward to updating the blog soon. Its often easy to forget that there are others in remote places that may need our help. Enrolling and actively reporting in the Amver system helps ensure they get the assistance they need. Amver's first rescue of the year came when a sailor was plucked from the ocean January 14th after his sailboat was damaged 200 nautical miles east north east of Wake Island. The sailor, Mr. George Shaver, departed Keehi Lagoon in Honolulu on November 18th headed for Guam in his 29 foot Lancer. He lost his rudder about January 12th in a storm and activated his emergency beacon. Search and rescue personnel at the Joint Rescue Coordination Center Honolulu received the distress alert and immediately launched a Coast Guard C-130 search aircraft while requesting commercial ships in the area to divert as well. Several merchant ships, including the Amver participating cargo ship Emerald Indah, responded to the request for help. The Coast Guard aircraft was able to drop survival equipment to Shaver while one of the commercial ships searched for him. Unfortunately the first ship on the scene was unable to locate the sailboat despite several hours of searching. The Coast Guard aircraft was able to relocate Shaver and direct the Emerald Indah to his exact location. "I didn't think I would make it in the current sea conditions," Mr. Shaver said to the Captain of the Emerald Indah. "I was using the parachute from the survival equipment dropped by the aircraft to try steering towards Midway Island." The Singapore flagged Emerald Indah enrolled in the Amver system in 1999 and has earned 7 participation awards. The nominations for the 2009 Marketing Over Coffee Awards are out and Amver is on the short list to receive one! In case you are scratching your head about Marketing Over Coffee let us explain. The hosts, John Wall and Christopher S. Penn, provide a weekly show that covers topics such as understanding Facebook, Twitter and other online social tools, using search engine optimization and Google Analytics, and incorporating traditional marketing techniques with your online strategies. Amver is honored to be nominated for such a prestigious award and hope we are selected to join the ranks of previous award recipients such as CVS Pharmacy and On The Record. Wish us luck and be sure to listen to Marketing Over Coffee! Haiti, How YOU Can Help Now! By now the world has seen the images of destruction in Haiti after the earthquake. Many people may be wondering how to help. The United Nations has information and status updates available here. What does this disaster have to do with Amver? Plenty! The United States Coast Guard has multiple surface and air assets deploying to Haiti to assist in the relief efforts. In fact, the Coast Guard Cutters Valiant, Mohawk, Tahoma, and Forward are all supporting Haitian relief efforts. Again you may be asking "What does this have to do with me?" Now, more than ever, we need the help of the commercial shipping industry to enroll in and report to Amver. There are fewer Coast Guard cutters in the Atlantic right now. 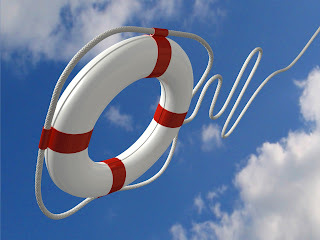 We need your help in the event a mariner is in distress. On January 13, 2010 there were 3,734 ships on plot. I know we can work together to enroll more ships and have more ships available for saving lives. Together we can indirectly help the people in Haiti by providing a blanket of protection in the Atlantic. While our Coast Guard Cutters are assisting the Haitian people we are counting on you to stand watch over mariners around the world. Will you help us? We challenge you to help raise the Amver on plot numbers to 3,800 ships or more during this crisis. The end of a navigation era is upon us. February 8, 2010 will be the termination of LORAN-C transmissions. What does this mean to Amver participants? Check out the United States Coast Guard Navigation Center page on all things LORAN. 19 vessels have enrolled in Amver since last week. 19 potential lifesavers. With a renewed commitment to saving lives at sea, cooperation, and selfless service we hope more ships embrace the IMO declaration of 2010 as the year of the seafarer. It is the seafarer, both individuals and crews, that save lives at sea. Will you join this exclusive group of live savers? We should also keep the people of Haiti in our thoughts and prayers. Haiti is an island nation, relying on the sea, that is facing even more incredible challenges since the earthquake. 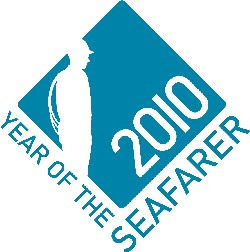 IMO Secretary General Efthimious Mitropoulos declared 2010 as the Year of the Seafarer. At Amver we like to think of every years as a year of seafarers and we were excited to see the IMO shine a light on the brave men and women who make the maritime sector work. We know there are plenty of people behind the shipping scene but this is recognition that is long overdue. Despite increased naval patrols piracy is on the rise, the seas continue to claim ships, and seafarers face the same uncertain economy that has hit us all. To the men and women who go down to the sea, thank you from Amver! We're catching up with our holiday correspondence and wanted to share some holiday wishes sent in from ships around the world. One of the great things about Amver is that we work with so many ships from around the world. Here are a selection of greetings from vessels that were sailing during the holiday season. While we can't respond to each vessel individually the Amver team certainly hopes you saw our holiday messages here and here. P.S MERRY CHRISTMAS AND HAPPY NEW YEAR !!! 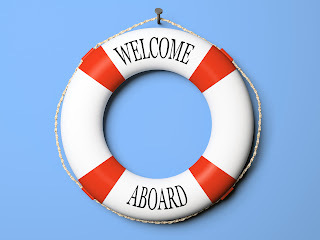 It's the first Welcome Wednesday post of 2010 and we are excited to see an additional 25 ships enrolled in the Amver system this year. In fact, 8 of the latest vessels enrolled on New Year's Day. What a perfect way to kick off 2010. Please help us in welcoming these latest members of the Amver system. Far be it from us to try and guilt ship owners into signing up for Amver but participation would be a great resolution. Will you resolve to have your ships enroll and participate? 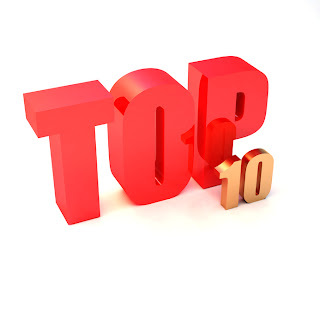 If you are a new reader to the Amver blog or want a great recap on the most popular topics covered in 2009 check out our list of the top blog posts of 2009. Enjoy! 5. Amver Awards In Washington, D.C.